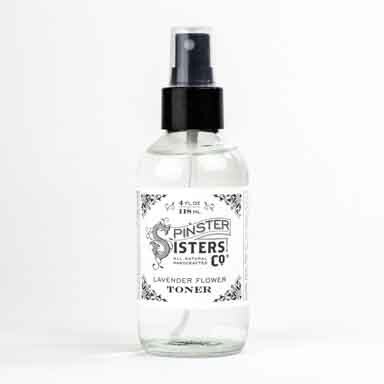 Lemongrass Toner | Face Care | Spinster Sisters Co.
Our bright, fresh smelling Lemongrass Toner is a cleansing astringent that is full of antioxidants and helps restore a youthful glow to skin. Spritz it on to clear pores, remove excess oils, and soothe redness and blemishes. The fresh lemongrass water used in our toner is steam-distilled at our Microsoapery in Golden, Colorado. Steam distilled Cymbopogon Schoenanthus (Lemongrass), Water [distilled by Spinster Sisters Co.]. 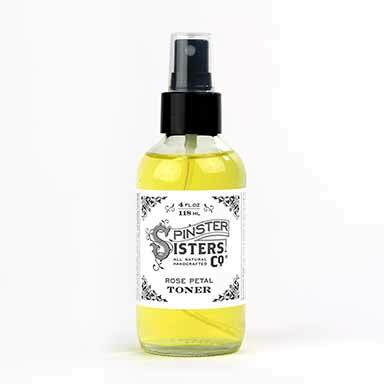 Spritz this Toner on your face after you wash it and before you put moisturizer on. You can use it morning, mid-day or for an evening pick-me-up. 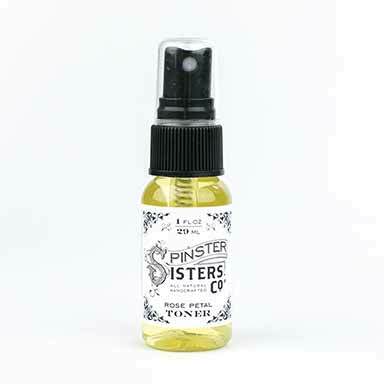 You can also spray it into a cotton ball and gently wipe face for a mild, natural astringent.